SYRACUSE — October 12, 2011 — JGB Enterprises, Inc. is pleased to announce the release of their first consumer product, TUFF GUARD The Perfect Garden Hose. JGB has done the unthinkable; it’s unkinkable! 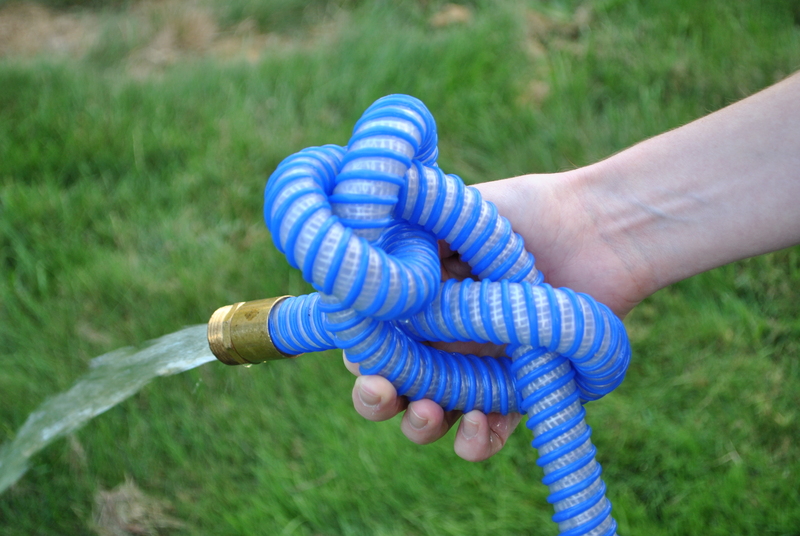 By constructing the TUFF GUARD hose of TPE and applying a double helix wrap, JGB has created a garden hose that is not only thirty to fifty percent lighter than mainstream garden hoses, but also prevents that age old garden hose flaw; it absolutely will not kink! TUFF GUARD remains completely flexible, and will not crack, burst or leak in temperatures as low as -20 degrees Fahrenheit and as high as 158 degrees Fahrenheit. The hose is available in a 5/8 inch diameter and 25, 50 & 100-foot lengths. The 50-foot length is available in 6 colors, blue, red, green, beige, grey, and pink. JGB offers a multitude of commercial, industrial, and military hoses and hose accessories. TUFF GUARD, the revolutionary result of over five years of research and development, is manufactured and assembled one hundred percent in the United States of America. JGB Enterprises is proud to be creating jobs, and offering consumers the opportunity to help bolster the US economy. JGB Enterprises, TUFF GUARD, and The Perfect Garden Hose are registered trademarks in the United States and/or other countries. 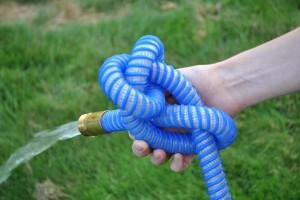 Want to get your hands on the last garden hose you’ll ever need? Buy it now! This entry was posted in In the News and tagged best garden hose, best no kink water hose, Garden hose, Industrial Goods and Services, landscaping equipment, pgh, professional grade garden hose, tuff guard hose, Valves Hoses and Fittings. Bookmark the permalink.